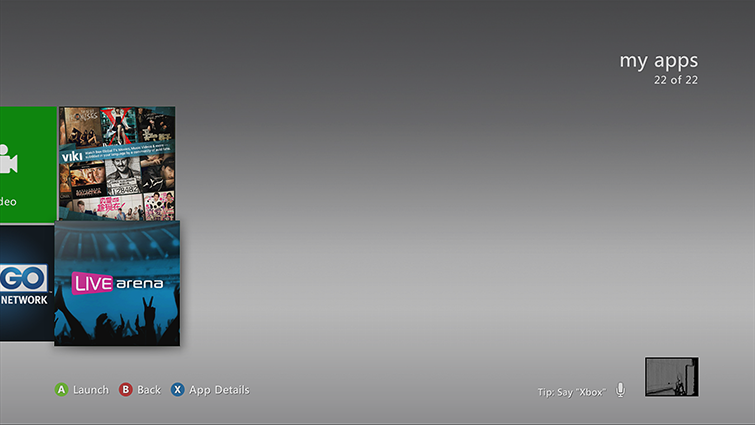 This page describes how to install and watch the LiveArena app on your Xbox 360 console. At least 127 megabytes (MB) of available space. 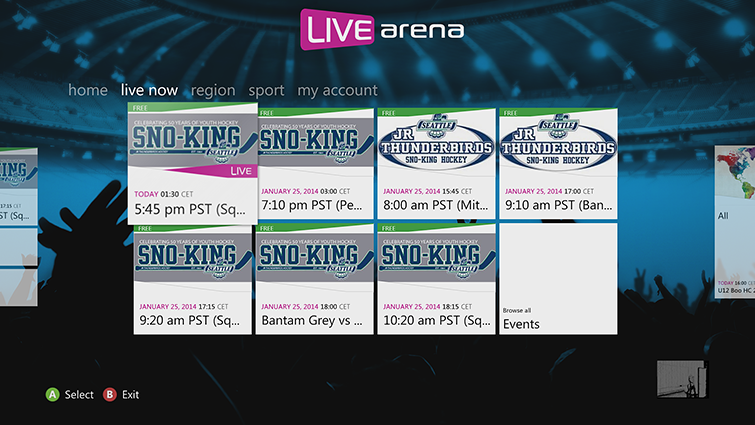 Select LiveArena to download and install the app. Select Play Now to start the app and browse through to view details about the available content. 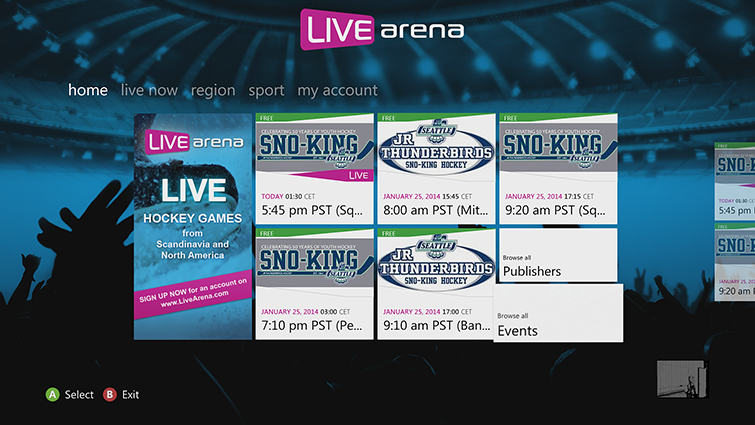 To start the LiveArena app later, go to apps, my apps, and then LiveArena. 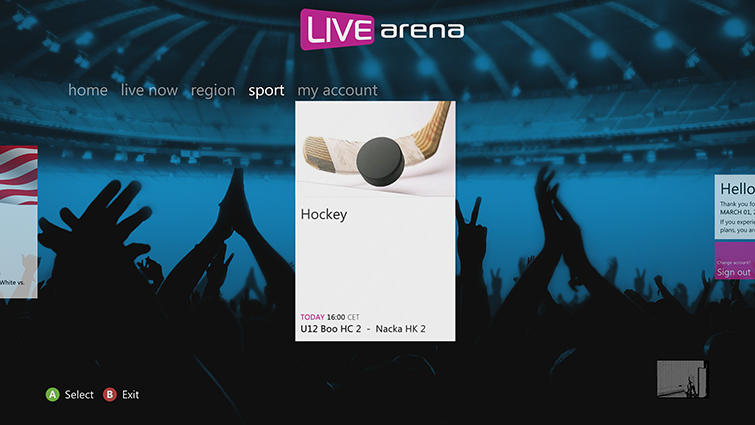 To create a LiveArena account, go to livearena.com/User/Products. Sign in to the LiveArena app by using the email address and password that are associated with your LiveArena account. If you do not have a LiveArena account, create one at livearena.com/User/Products. 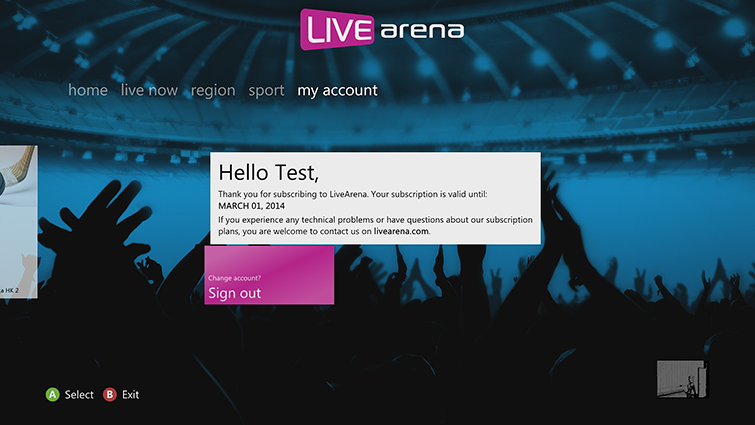 If you have any problems with account creation or sign-in, contact LiveArena through the website livearena.com. When you start LiveArena, you will see the Home hub, where you can select from the featured content in the center or browse by publisher. 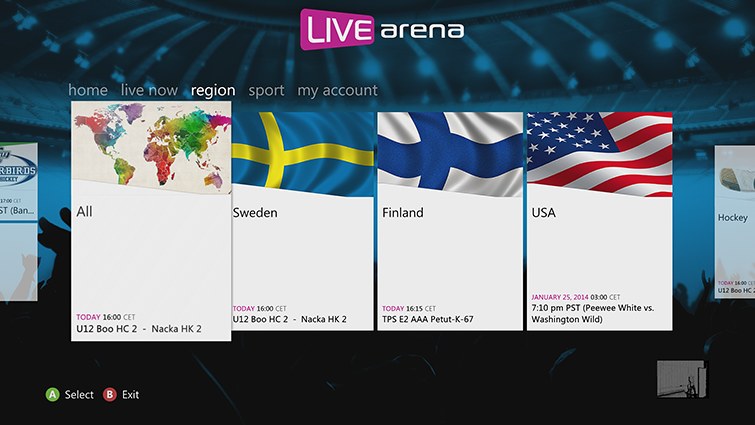 For billing and account support, contact LiveArena via livearena.com. If you use Family Settings to control which movies and TV shows can be watched through Xbox Live on your console, the LiveArena app will follow those settings. For example, if you use parental controls to restrict some kinds of TV programs, those programs will be marked with a “restricted” icon in the LiveArena app. To play a restricted item, an adult must enter the Family Settings pass code. ¿Quieres contactar con el Soporte técnico con referencia al problema "Install and watch the LiveArena app" acerca del que estabas leyendo o con referencia a otro problema?